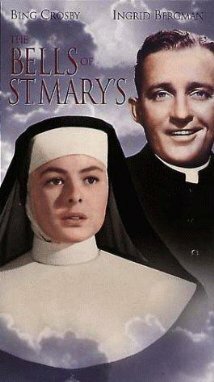 The Bells of St. Mary’s is best known for the beautiful Bing Crosby rendition. However, Crosby revived a once popular song. The music was written by A. Emmett Adams and the lyrics by Douglas Furber. The lyrics were inspired by a visit Furber made to St. Mary’s Church in Southampton, England. The song was released and became a popular song in 1917. These were the days when World War I was heating up, few had radios in their homes and most enjoyed music through the playing of sheet music on pianos. The song was included in the 1945 film starting Bing Crosby and is featured during the scene featuring a Christmas pageant. From this came the association of the song with the Christmas season. Many performers have gone on to record this song including Chet Atkins, Perry Como, The Drifters, Connie Francis, Andy Williams and Vera Lynn. Saint Mary’s College in Indiana and State University of New York Maritime College, who’s first training ship was USS St. Mary’s, both have versions of this song associated with their schools.